Wondering how you can get the attention of your ideal clients? It’s a noisy marketing world out there, but you can break through the noise. Learn how one digital agency owner is growing a social community with tens of thousands of prospects. In this episode, learn the ins and outs of creating a Facebook group that provides value and connects people so you can beat out your competition and stay top of mind. 2 benefits to building a Facebook community. Tips on creating and managing an engaging group. How to avoid common pitfalls when creating a Facebook group. Today’s guest is Arne Giske, a digital agency owner whose business sky rocketed after creating a Facebook community has over 29,000 members in just one year (and still growing!). 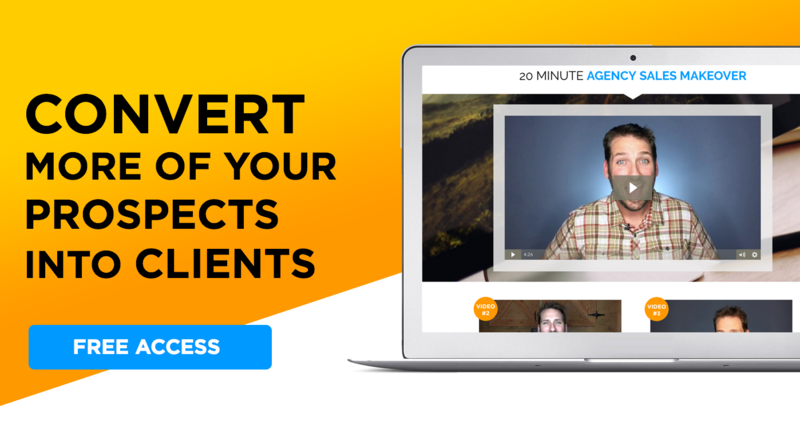 He’s here to share tips on creating and managing an engaged group plus pitfalls to avoid so you can generate new agency business. It’s better than an email list because people choose to see and engage with their Facebook communities every day. Creating a community and helping to connect and serve others. In a very busy, digital world your prospects want to feel seen and heard. You can help them by creating a community of like minded individuals where they can ask questions and idea-share. The best way to break through the noise and clutter of your competition is to help, not hype. Doing this will make you stand out from the “me too” agencies. As your community grows it’s members are more likely to work with you. Members become aware of you and your brand. As an active member of the group you’ll be building trust and authority with your comments, answers and helpful posts. When you provide value first, it will come back to you. So, there are millions of Facebook groups out there. What can you do to make sure yours is different? The key is making sure people want to join and engage in the group. You can’t even begin to monetize your group until you have active members participating in it. First, set the mission for the group. What is the intention for bringing these people together? Why would someone want to join this group? Arne says he has started some other groups that flopped entirely. Looking back, it’s because his other groups were self-serving. People could see through his motives and chose not to be involved a sales platform. Also, understand the basics of Facebook’s algorithms and use it to your advantage. Facebook groups grow because of engagement. Every like, share, comment and post counts! The more engagement, the more Facebook suggests your group to non-members. It becomes very cyclical: member growth = more engagement = more growth = more engagement, and so on. Be selective. Consider your criteria for membership. Facebook allows you to ask new members a few screening questions before they’re allowed to join. Determine how you’ll screen group members in order to keep the integrity and intentions of the group. Set guidelines. Set rules and make sure you or community manager enforces them. For example, you want to keep your group spam-free. So set a rule about no self-promotion and then make sure there’s a system in place for enforcing it. Decide what kind of penalty rule breakers will receive and then follow through: Will you delete their post? Will you block them from the group? Pin important posts. A pinned post is the one that stays on the top of the group discussion at all times. It can only be pinned or unpinned by an group administrator. You can use pinned posts to explain rules and guidelines, draw attention to Facebook Lives, make special announcements, or provide special member offers, such as affiliate links. Low membership: Some groups just never take off and membership doesn’t grow beyond a couple hundred. That’s because the creator is relying on organic growth. Instead, Arne says to update backlinks from your other social channels and point people toward the group through other media. Help grow membership by promoting it. Branding the group: You are connecting and serving like-minded people. Remember, Arne learned the hard way that people will see through selfish motives. So it’s ok to stick branded, content in the group so long as it’s relevant and helpful. But you can’t push your services or brand on the members. And most definitely do not make your brand name part of the group name. People will get to know you within the group after they click the “join” button. Misunderstanding the platform: There’s a misconception on how different messaging works on different platforms. A Facebook group is not for sales or marketing. It’s simply a place to start a conversation or a place where people can raise their hand to indicate interest in learning more. When it’s times for marketing and sales, your job is to lead them off that platform and take them somewhere else (like your website) to learn more. 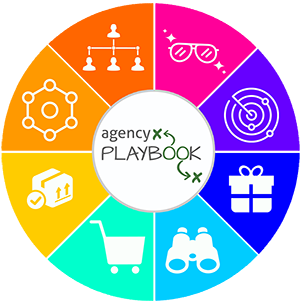 Need Guidance and Support to Grow Your Agency 3X Faster? Are you overwhelmed by all the information out there on various ways to grow your agency? Do you want direction on how you can grow your agency faster and easier? Then you’re in luck! I created an innovative mentorship called Agency University. Agency University is a program which provides the 1-on-1 mentorship and ongoing support that is crucial to the success of your agency. Click here to see if it’s the right fit for you.